Yes, we are still open! The Mendocino County Department of Transportation reports that Orr Springs Road is now open, as of 3:00PM. The bridge is one lane, and has a 20-ton limit. 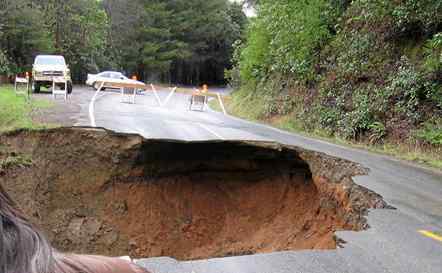 Please be cautious when approaching this area (approximately 4-5 miles from Ukiah). On the morning of Tuesday February 21st, Orr Springs Road suffered severe damage, when a large section washed out due to heavy rain. 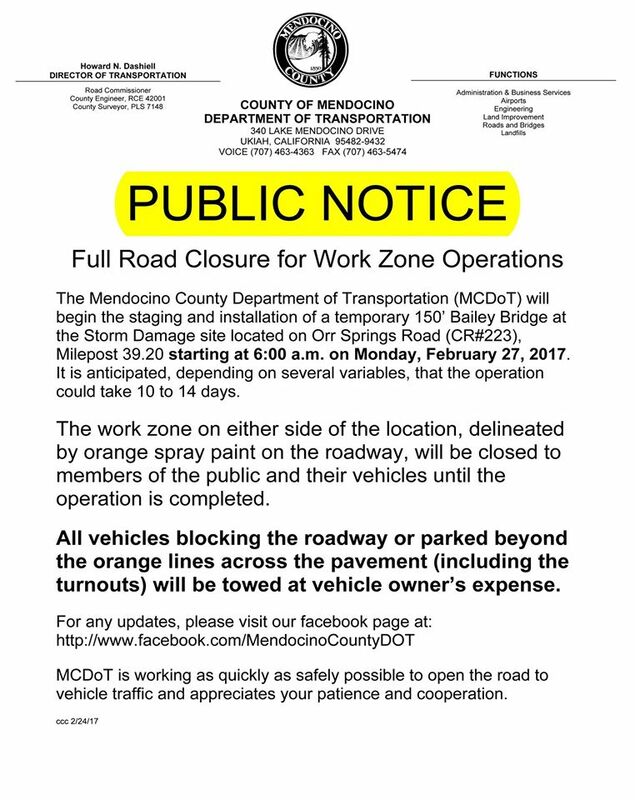 The County of Mendocino is currently working on short-term and long-term solutions, however our expectation is the road will be closed for weeks, if not months. 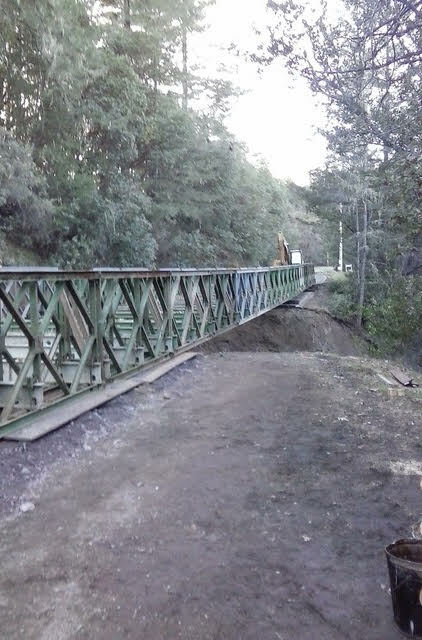 The county may have a Bailey Bridge in the Willits yard that may work as a temporary solution, and can be installed in two weeks if there are no unforeseen circumstances. This information is preliminary and unconfirmed. The county will begin installing the Bailey Bridge starting tomorrow, Monday, February 27th! They anticipate it to take another 10-14 days, if no unexpected issues arise. The good news is there is an alternate route for guests to get to Orr Hot Springs.